Down below are some creative opportunities happening in the city, as well as some art and creativity events. If you would like to share some of your resources, please submit it or contact your coach. Do you love to create art? We are welcoming submissions on this theme and will select four artists to exhibit. Please send a description and images of the work to: programming@gachet.org. The deadline for submission is Friday, May 10th. There will be a community component of the show with workshops, stay tuned for the date and time of these to be announced. Vancouver’s raddest handmade market hosts over 85 local makers and small shops. Find the perfect Mother’s Day gift or pick up something for yourself! This spring market will welcome almost 50% new vendors to Got Craft? for a full range of goods to shop from including clothing, baby + kid items, jewelry, artisanal food, paper goods, ceramics, bath + body, florals, and more! There’s also lots of tasty treats for you to enjoy including food trucks and of course, limited edition swag bags for the first 50 paid attendees through the doors each day! Created in 2007, Got Craft? showcases the best in independent craft + design. Supporting locally made goods and small shops by providing opportunities for them to sell their work and by connecting them with like-minded shoppers. Each ticket purchased online will be entered to win $100 in market cash* to spend at the event! Market cash giveaway for online purchases only. Contest ends Thursday, May 2nd at 11:59pm PST. Keep an eye on instagram at @gotcraftmarket for a chance to win more amazing prize packs + tickets to the event! On The Block photographers Tom Quirk, Sharon Burns, and Quin Martins took photographs on the legendary downtown East Hastings Street. Home to Insite, Carnegie Community Centre, and former home to the famous Pantages Theatre and Smiling Buddha Cabaret, On The Block offers an insider's glimpse into the people, art, and fashion of the Downtown Eastside neighbourhood today. Did you know you can borrow a huge range of musical instruments from the Central Branch of Vancouver Public Library, for free, for up to three weeks? The Sun Life Financial Musical Instrument Lending Library at VPL is a collection of instruments that you may borrow using your Vancouver Public Library card. The collection is located at the Central Library. Ask staff at the main floor info desk for assistance retrieving the instrument you want to borrow. The instruments can be found by searching the library catalogue. You can only borrow one at a time, and they have to be returned during library opening hours. ​You can rent an acoustic bass guitar, acoustic guitar, banjo, bongo, cajon, djembe, doumbek, electric guitar and amplifier, keyboard and digital piano, mandolin, ukulele, violin [4 different sizes], and even a xylophone. Each instrument's borrowing page includes links to learn how to play it, as well as a video on how to care for / store it. In addition, they provide a number of online tutorials and useful websites to help you along the way. There are also a wide assortment of books, DVDs, and magazines that will help you learn how to play. 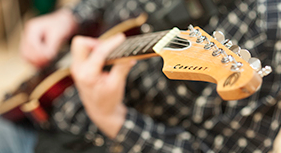 Bring your instrument and come out to one of the casual jam sessions. A sound system and some instruments are available. When: Held regularly; call the library for the next date! Learn about the Inspiration Lab's video recording equipment. 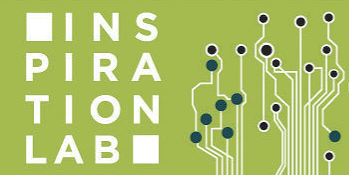 Find resources and get help with your digital project from library staff. For more information on the video recording and lab equipment, click on the link below. For info about registering for the event, call the main library number at (604) 331-3603. Learn about the Inspiration Lab's audio recording equipment. Find resources and get help with your digital project from library staff. For more information on the audio, video recording and lab equipment, click on the link below. Using the lab is free, and check out the amazing sound recording equipment via the link below. ​Gallery Gachet is a unique artist-run centre located in Vancouver’s Downtown Eastside. Gachet is a collectively-run exhibition and studio space built to empower participants as artists, administrators and curators. The Expressive Arts Group began as a program through the West Coast Mental Health Network. There are about 30 participants, who meet on a drop-in basis every Monday afternoon to paint, make collages, use mark-making tools, do print-making and/or sculpture. No previous art experience is necessary to participate in the group. 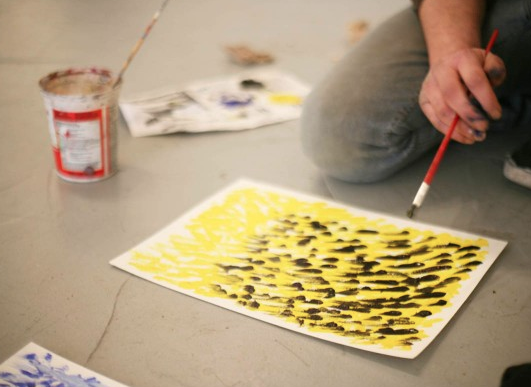 The group operates on the belief that engaging in creative activities is physically and emotionally healing. They provide art materials, instruction (if needed and desired) and support in an inclusive, accessible and safe atmosphere. The Thursday before opening of every regular mainstage production has pay-what-you-can rush tickets available at the door! Volunteer to usher for a performance and see the show for FREE. For more about becoming a volunteer, click the button below. A number of other theatres offer volunteer positions. If you love the arts, be sure to check these out on our Get Set & Connect Volunteering page. ​Tickets Tonight sells half-price tickets online only. Half-price tickets are sold on the day of the show and are subject to availability. Half-price tickets go on sale at 9:00am and typically go off sale at 4:00pm. There is a limit of 4 half-price tickets per customer. Half-price listings are updated daily, and half-price inventory is limited. Open Mic sign-up at 7 pm. Bring your favourite passages, points of interest, and share your reading experiences with us. Admission is free. Registration not required. 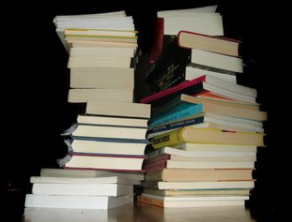 Each person is responsible for either borrowing or buying their own copy to read. A fiery grassroots storytelling series where Real People share their personal True Stories in front of a live audience. 1. Stories must be TRUE. 2. Stories must be about YOU. WANT TO SHARE YOUR TRUE STORY AT THE FLAME? 1. See The Flame first! evening is run by attending at least one Flame event. We’re looking for a concise synopsis that clearly charts the beginning, middle and end of your story. (500 words will do.) Please include your phone number and active email address. We will respond to all story submissions. Everyone has a story to tell and we want to hear yours! Take the challenge. Bring yourself, your imagination, and something to write on. We provide the writing prompts and the opportunity for sharing. 10 -15 minutes to write to each prompt. See what you can whip up. All levels, genres, outlooks, orientations, ages. **Please email grindwriters@gmail.com and introduce yourself before you attend the first time – we sometimes have out-trips and meet at various places. On the last Sunday of every month at 3pm there is a tour of current exhibits. The tour is free. On the first Thursday every month there is a free lunchtime tour. 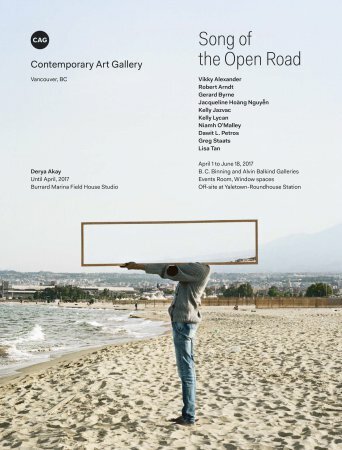 ​The Contemporary Art Gallery (CAG) is a non-profit public art gallery, and the longest standing independent public art gallery dedicated to presenting contemporary visual art in Vancouver. They have between ten and twenty exciting exhbitions and off-site projects each year, with an extensive range of learning and public programs for adults, families and children. They offer all programs, and entry, free of charge [they encourage donations]. Have you ever visited artists in their studios? Or perhaps you go to the annual Vancouver Culture Crawl, but find it way too crowded? First Saturday Open Studios is a FREE opportunity to visit artists in their work space...the first Saturday of every month! Their goal is to build connections between artists and the public. It is a chance to visit working studios, ask questions, learn about techniques and build relationships with the artists. There are artists with open studios - 50 of them - in Vancouver, New Westminster and North Vancouver. Check the area you'd like to visit for artists open near... each building is marked by a RED FLAG! You can read more in the Georgia Straight article. To see which artists are open in the month you'd like to visit, and to browse some of their art at their own websites, see below. Learn the basics of wheel throwing, hand building, glazing, and firing techniques. Enrollment is ongoing and new students are welcome, all levels, from beginner to intermediate. To register, drop by. You will need a community card, which costs a $2 membership for the year which allows you access to classes. There are fees for clay and glazes (clay is $1.75). ​The Gathering Place is at 601 Helmcken Street. To learn more, call 604-665-2391 or visit. This lively, friendly group of volunteers makes hats, scarves, socks, and sweaters for the homeless. All levels are welcome, wool and knitting needles are provided, but you may bring your own. All ages welcome. Everyone is Welcome! All ages and knitting abilities. What type of yarn do we need? For more information please contact 604-736-3588 ext. 602.